Nero 12 comes with ultimate tools to provide best entertainment experience for home users, which has distinct features that can achieve best possible results. 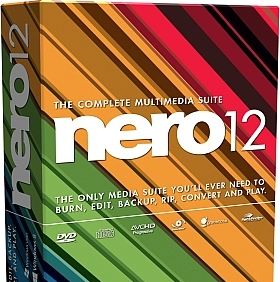 Nero 12 multimedia suite not only used for burning, but has developed to allow media conversion, editing and even backing up data. So those who are looking for #1 video publishing and sharing tool, Nero Multimedia 12 assures you best outcome. Nero 12 now optimized for Windows 8 and Widescreen monitor display. The tools are built for novice and pro users with the mix of simple and complex tools. What’s New in Nero 12? 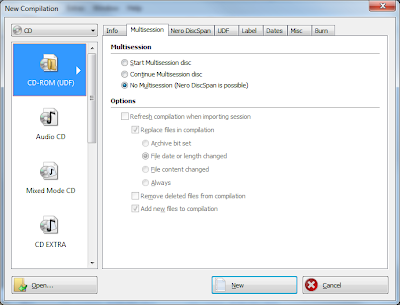 Convert your favorite movies to DVD, Blu-ray Disc and all popular file formats. It can edit videos such that it supports High-Definition AVCHD 2.0 format. Backup your personal data to hard disks over 2 TB and USB 3.0 devices. An easy to use video converter can convert your personal videos to device-compatible formats like MP4, MKV, AVI, FLV, MOV, 3GP and other multimedia formats. The devices include most popular Smartphones, PlayStations, Tablet PCs and Mp3 players. You can even rip Blu-ray Disc and convert the content to device-compatible formats. The drag and drop functionality allows you for batch conversion which can complete conversion task up to 4x speed with AMD App Acceleration and CUDA support. Nero 12 has universal media player which supports all high-definition and standard-definition formats like Blu-ray and DVD movies. You can also play audio files with all supported formats. The video and audio playback quality has been the best and there is no need for additional media player as it supports all video and audio formats. Nero Video – Edit high-quality videos with full-featured video editor providing ultimate control over videos with advanced options. 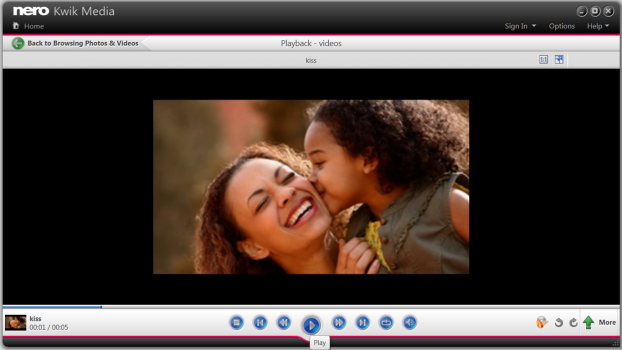 Nero Kiwik Media – A built-in media player to access, sync, catalog and stream your favorite movies, music and photos. 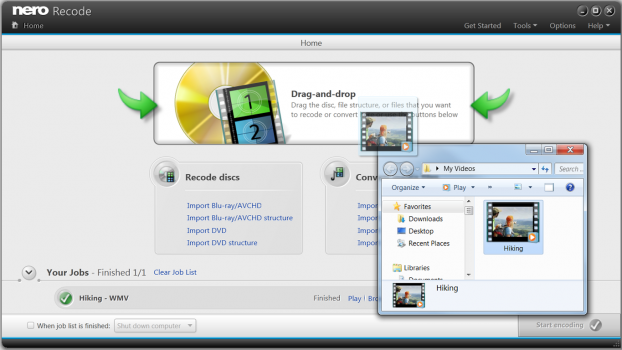 Nero Burning ROM – Rip and Burn CDs, DVDs, and Blu-ray Discs with powerful burning engine. Nero BackItUp – Backup complete hard disk with vast range of supported devices. Schedule your data with disaster-proof feature. Nero RescueAgent – Recover corrupted or damaged files from your PC, USB or any other device with Nero RescueAgent which has extra protection layer. Nero Express – A quick access to burn or copy the data to a disc which saves your precious time. Finally, Nero Multimedia 12 suite has complete features for multimedia file editing, but Nero 11 users may find it difficult in working with Blu-ray formats on Windows 8. The free version is only valid for 15 days and it is very little time to analyze the product for novice users. The free version is not having some features, so it is wise for novice users to utilize the best possible features and then upgrade or buy the product. The upgraded version has high-range of tools with ultimate editing and task handling. System Requirements – Minimum 1 GB RAM, 2GHz processor, 5 GB hard disk space, DirectX 9.0 compliant graphics card, DVD disc drive for installation, Windows Media Player 9 or higher, Internet Access.